Even if you love the little quirks of your property, and even if you think that the old-timey feel your home has gives it character, the resale value of your property is inextricably linked to the state that it is in. Don’t underestimate the savvy of modern home buyers: they know that phrases like “in need of some TLC”, “a handyman’s dream”, “full of character” are euphemisms describing a home that they will need to put a lot of extra effort (and dollars!) into, and this significantly reduces the number of potential buyers from the get-go, before anyone has even bothered to come and look at your property. That is why it will serve you well to look into doing the necessary repairs and improvements before your real estate agent even starts advertising your property online – this is imperative whether you are looking to sell your property or if you are looking for renters. The fact is that potential homebuyers have a hawk’s eye when inspecting a house, and that there are certain repairs you simply cannot skimp on. Not only will homes that are not in a state of disrepair appeal to a broader selling market, they are also likely to be sold quicker than homes that require attention. Undertaking repairs and improvements on a property you are planning to sell fall under the hidden and unexpected costs associated with selling your house, and there’s no doubt that you may well have to pay some money to have them done. To many people, spending wads of cash on repairs seems like a waste of money, because they assume that the new owners of their property will want to do these by themselves. Don’t fall into this trap and shrink your property’s market so significantly that there might not be buyers to sell to to start off with. Which repairs are absolutely necessary, though? Discerning buyers will keep a keen eye on anything associated with the plumbing and other water-related aspects of your property. Make no mistake – it is very easy to notice when something is amiss as far as this is concerned, and this will set off warning bells to potential buyers immediately. Corrosion and water stains are big red flags to potential buyers, and trying to hide them will only get you into trouble after the purchase has been completed, causing hassles which could have been avoided by simply doing the necessary repairs before listing the property. Water intrusion usually starts small, but can quickly turn into a problem, which turns into damage that requires repairs. Even if you are not planning to sell your home, water intrusion problems should be attended to the moment you become aware of them to avoid trouble further down the road. Prospective buyers will check that water drains well from sinks, baths and showers, and will test the toilet to make sure it flushes properly. While a shower that takes some time to drain might not seem like too much of an issue to you, potential buyers might think a toilet or drain that is simply clogged is a bigger problem than it actually is. Getting rid of muck or hairballs that prevent sinks and showers from draining properly doesn’t require too much effort, anyway. Use a drain snake clog remover to get rid of blockages, or try DIY drain cleaning solutions that don’t require the use of harmful chemicals, but get the job done easily and quickly. When it comes to moisture in the home, let your nose be your guide. Musty smells make buyers’ blood run cold, because it immediately signals that there may be an issue with damp somewhere. Dampness in the home is not only a health hazard, but sometimes it’s also difficult to gauge where the problem area is, which might lead to expensive and complicated repairs and construction issues – this is something that potential buyers will want to avoid at all costs. Check all the walls for cracks that need to be sealed, and if you’re uncertain, have a professional assess you entire house for any water penetration issues. If you are absolutely sure that there isn’t an issue with moisture, but there is still a damp smell lingering in certain rooms in the house, like the basement or other rooms that are below ground level, invest in a dehumidifier to eliminate musty odours and stop the growth of mildew. Water pressure is another important factor to assess. Gravity fed water systems are common in older properties, and are associated with water pressure that is typically not very high. To check your home’s water pressure, simply set a timer for six seconds and let a fully open tap run into a 1 or 2-litre jug until the timer has run out. Multiply the volume of water you’ve caught up in litres by 10 – for example 0.9 litres multiplied by 10. This will allow you to estimate your flow rate in litres per minute – 0.9 litres multiplied by 10 gives you an estimated flow rate of 9 litres per minute, for example. If your flow rate is anything below 10 litres per minute, it is considered to have low water pressure. Between 10 and 15 litres per minute is considered average water pressure, with room for improvement. Good water pressure has a flow rate of 15 litres per minute and more. Test the water pressure of all the taps in your home, as there may be discernable differences from one tap to the next due to the functional flow being restricted by poor plumbing or build-up in pipes. Should you notice low water pressure in your home, have a plumber come to assess the system and make recommendations on how the pressure can be increased. Even if you’re used to having a shower with low water pressure, this will be a turn-off to potential buyers, as will low water pressure in any other areas of the house. Make sure that the toilets in the house are functional, that they flush the first time, and that the seats and other parts are securely fastened. Toilets that constantly run can lead to higher water usage, make sure that this is not the case. Any leaks along the base or any other part of the toilet should also be repaired immediately, and it goes without saying that any stains in the bowl should be cleaned. 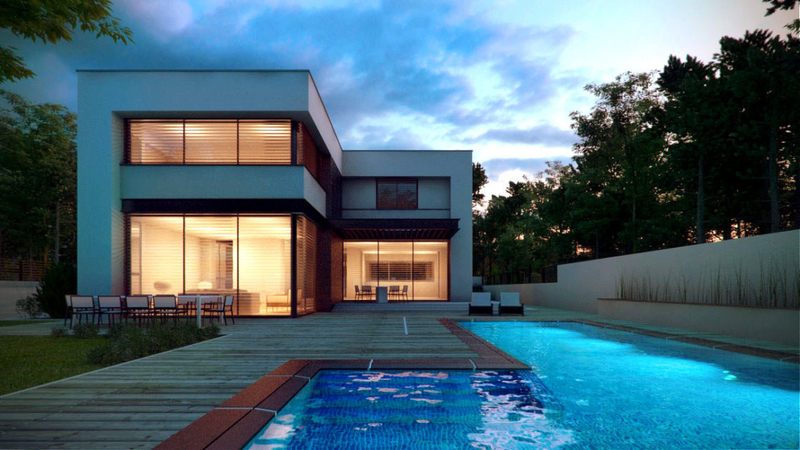 Most properties have little quirks and items that require a bit of a “magic touch” to operate. Get these fixed before your real estate agent brings people around to have a look at the property. Buyers want houses with doors, fixtures and windows that work exactly as they’re supposed to work, and having to shove, bang, jerk, lift – or even launch a secret combination of motions – something to operate it as it’s intended to operate will make them wonder what else in the house doesn’t work. Handrails, door handles and other fixtures that are loose or wiggly must be securely fastened as well, as inspectors may consider these safety issues when they come to inspect the property. Likewise, any loose carpets or uneven walking surfaces like loose cobblestones or uneven pavements will also draw the attention of safety inspectors. If you’re constantly tripping over something in or outside the home, so will potential buyers. 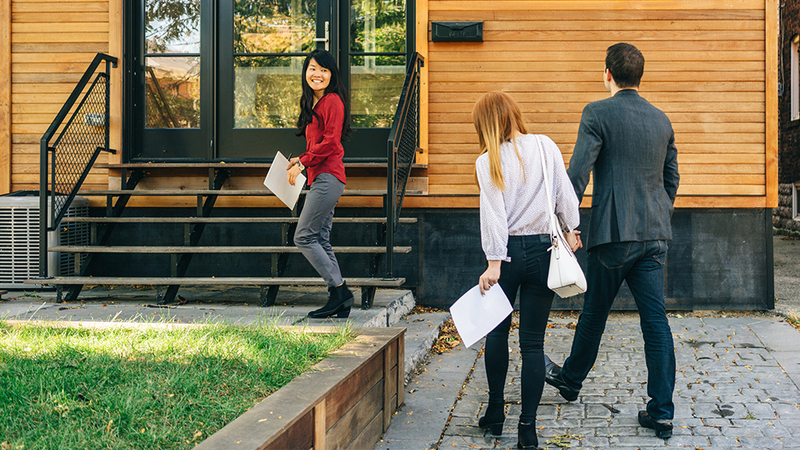 Especially if some of those buyers are elderly or have small children, these tripping hazards will be red flags for them. Make sure that all the switches in and around your house are in a working condition, and that they all operate something. Having to search for the switch of a certain light or appliance when you’re not used to living in the home is annoying enough – finding out that some switches have no obvious purpose is infuriating. Prospective buyers will test switches in your home. Keep in mind that faulty switches may signal faulty wiring to them. Because it is costly to repair, faulty wiring can be a deterrent to buyers like few other things are. While we’re on the topic of light fixtures, replacing damaged or outdated light switch covers won’t cost a lot, but will go a long way to make your property seem well taken care of. Remember to give all switches a good clean before anyone comes to view the property. Cracks in the walls and wall plastering, and especially cracks that are wider than 2mm, are cause for concern. Have a good hard, look at all the interior and exterior walls of your property, including the walls of buildings like garages and sheds. Minor settling of a home over a period of years is normal, but vertical cracks on the exterior or interior of your walls that are up to 5mm wide could indicate a more serious problem – foundation failure. Foundation failure is the result of homes being built on expansive soils, among other things, and requires the services of a foundation specialist, who will make recommendations upon inspection of your property. Problems with the foundation of your home will have a significant influence on the price it will ultimately fetch, as these problems only worsen over time, so it’s best to heed the warnings and advice of an expert in the field, and sort the problem out. Luckily, small cracks in the walls are actually quite common due to normal seasonal expansion and contraction. These are relatively easy to repair, although different types of cracks require different repair methods. Repairing minor cracks is an easy way to give your property a quick facelift, but it is also important to complete this with a fresh coat of paint all round. You’d be surprised at how much of an impression a freshly painted home can make. Homes should be painted in colours that appeal to the widest range of potential buyers, and a recent report by Business Insider even found that certain colours tend to help homes fetch better prices when they are sold. Freshly painted walls also make for better photos, and considering that most home buyers look for properties online before actually going to view a property in person, this will help to make a good first impression when potential buyers encounter your property on the world wide web. Don’t convince yourself that buyers want to paint a home in the colours of their preference when they’ve moved in and that painting won’t make a difference – you’d be surprised at how much of an impression a freshly painted home can actually make. With a huge range of low-cost options available, updating the floors of your home will almost certainly yield a return on investment. New floors have a way of immediately transforming a space and giving a home a wow-factor that may distinguish it from similar property options. If your house has hardwood floors that are still in a good condition, have them cleaned and polished, and it’s almost guaranteed that the floors will be the very first things prospective buyers will notice. However, if your house has outdated or damaged carpeting, it has to go (especially if it’s covering beautiful hardwood floors). Cracked tiles need to be replaced, and consider replacing the tiles if they used to be fashionable a few years ago. The golden rule is to not pay any attention to fleeting décor trends when making your selection for flooring. Stick to a neutral palette and to materials that are durable and will last for a good few years. compromised or damaged roof valleys. If you know that your roof is older than 20 years, have it examined by a roofing professional before putting it on the market. Discerning buyers may even insist that the roof is replaced before making the purchase, or may ask you to lower the asking price to justify their own repairs to the roof. Replacing a roof is a very costly exercise, but it absolutely needs to be done if it is necessary, before putting your property on the market. The ceilings inside your home are a good indicator of the health of your roof. Any stains on the ceiling should alert you to check the rest of the roof, as stains are often a sign that water has leaked through the roof somehow. With that being said, something minor like an overflowing toilet on the floor above could well be the reason for a stain on the ceiling, too. Nonetheless, you should look inspect the source of ceiling stains thoroughly, because to potential home buyers, stains are indications of a perilous route they might opt not to take. Knowing the difference between repairs and home improvements is important due to the tax implications of said work, especially for property investors who own rental properties. The Australian Taxation Office (ATO) makes a distinction between repairs, maintenance and capital improvements. 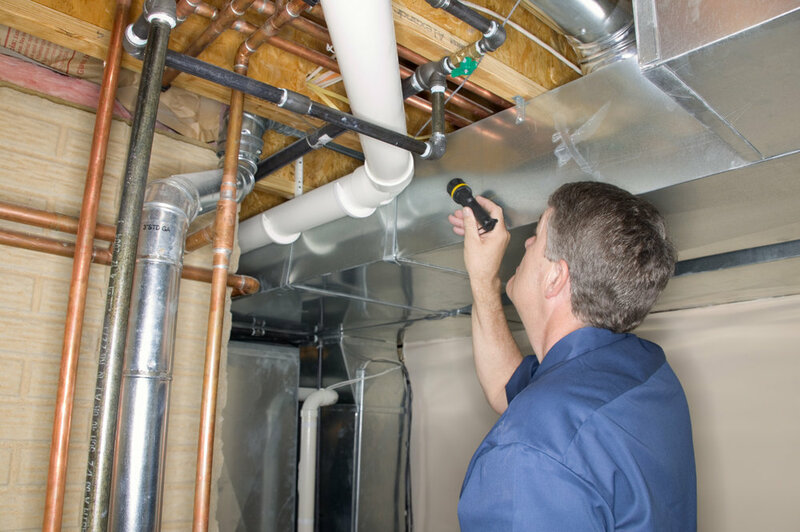 Repairs are defined as work that is done to fix damage or deterioration of a property. An example of this would be to replace a section of a damaged fence. In accordance with tax laws, the deduction cost paid to repair a rental property can be claimed in the year that the expense is incurred, and can be claimed as a 100% deduction. As the word states, maintenance is defined as ongoing work to prevent deterioration to a property. An example of this is the cost for mowing the lawns or doing maintenance to the garden of a property. Maintenance costs can also be claimed as an immediate deduction in the same year as the cost is incurred. Capital improvements are done to improve the value or condition of an item beyond its original state at the time of purchase. This includes renovations and repairs to those parts of the property that cannot be easily removed from the property, for instance hot water systems, carpets and the addition of internal walls. Deduction rates of 2.5% or 4% are applicable, and this depends on the type of capital works that are done, the date on which construction commenced, and how they are used. A deduction can be claimed for the full cost of the estimate in the year that it is incurred. An estimate of the costs associated with capital improvements can be obtained from a quantity surveyor if it is difficult to determine the actual construction costs. As far as repairs to a property that you are looking to sell go, the general rule of thumb should be that anything that looks like it could surprise a buyer is something that will need to be fixed. Prospective home buyers are very aware that they are making a large financial commitment, and one of the biggest purchases of their life. Underestimating how carefully they will inspect your property will come back to haunt you when said property sits on the market for much longer than you might have anticipated. This is why it is essential to carry out all important repairs before even starting to advertise your property. Plumbing and water-related issues will discourage most serious buyers, because problems with these aspects of the home can have a knock-on effect and may end up affecting much more than just one pipe or one room. 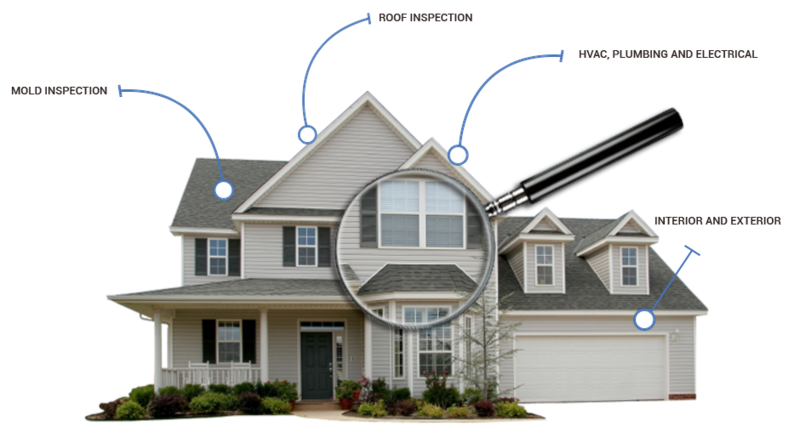 Buyers know this and will inspect your property keenly to see if they can spot any signs of issues related to water. The quirky aspects of your home will be something that makes you think fondly about that space you used to occupy at one point in your life, but buyers certainly won’t find it as romantic to have to wiggle a door a certain way to open it or to bang a water heater to stop it from wheezing. Fix anything that doesn’t work exactly as it is supposed to work. Cracks in walls are often just the consequence of your house expanding and contracting when the weather turns hot or cold, but to potential buyers, they may seem like signs of a much bigger underlying issue in the home. Fix cracks and give the entire house a fresh coat of paint to set their minds at ease. Just because you walk on it, floors aren’t any less important than the rest of the house. Floors or tiles that are damaged or outdated will need to be replaced, as this certainly isn’t something a potential buyer will want to do just after they’ve moved in. Finally, the roof and ceilings of your home may require costly renovations if they are in a state of disrepair, but a shabby, damaged or old roof will automatically disqualify a lot of potential buyers. Don’t expect them to not notice a roof that badly needs replacing, and remember that sellers are morally obligated to disclose all faults with a property, or to be held liable for them post-sale. Home improvements and repairs can be expensive, but Australian tax law allows for these costs to be claimed as deductions in the year that they were undertaken. Especially if you have a rental property, it is important to acquaint yourself with these tax implications. Ultimately, an experienced real estate agent will be able to give valuable advice on suggested repairs to a property before it goes on the market. Find the perfect real estate agent to help you sell your property by contacting Perfect Agent. Our large database of qualified, licenced and experienced real estate agents is bound to produce someone you can trust to sell your home at the best possible price.